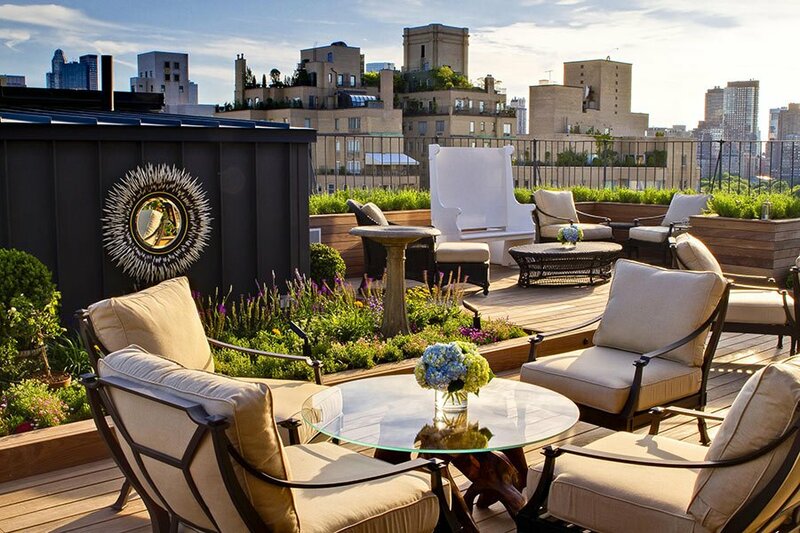 The 2,200-square-foot private roof garden. All photos courtesy of The Surrey. Manhattan's Upper East Side is home to Madison Avenue's fancy boutiques and restaurants, Museum Mile, Central Park, and — an elegant pre-war, Beaux-Arts hotel that feels like the home of a very wealthy friend. 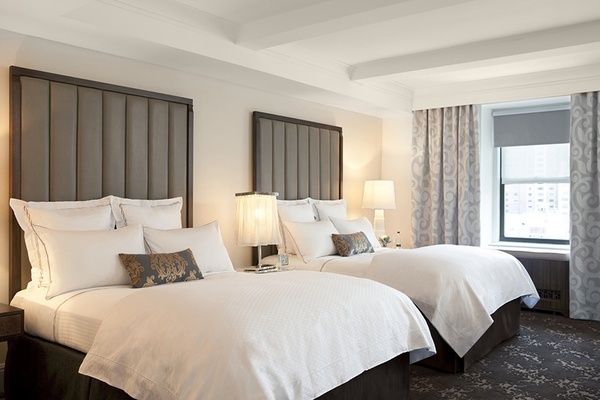 Once a long-term residence hotel — notable celebrities like John F. Kennedy and Bette Davis were guests — The Surrey is understated elegance at its finest and a tranquil retreat for those in the know. 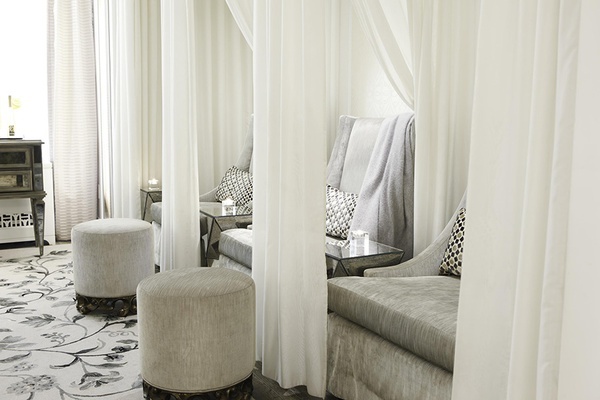 Vibe: Old-world glamour and service. 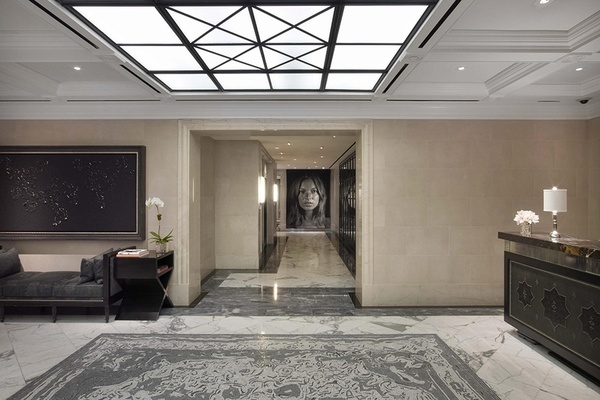 Standout Detail: The $30 million modern art collection includes works by Jenny Holzer and Jimmie Martin, along with a tapestry of fashion icon Kate Moss by portrait artist Chuck Close. This Place Is Perfect For: Art enthusiasts who want to be a stone's throw from Museum Mile; History buffs who want to retrace the steps of icons like J.F.K. and Bette Davis; Those who want the charm and discretion of a residential townhouse in Manhattan. Rooms: There are 189 well-appointed salons (including 34 suites, a penthouse, and a presidential suite) that come with hand-crafted DUX beds by Duxiana, custom Sferra bedding, h Italian robes by Pratesi, Diptyque bath products, and complimentary WiFi. Pets are welcome for a $150 one-time fee per stay. 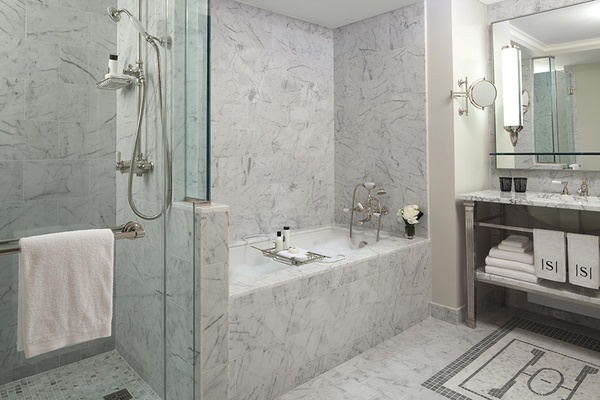 On Site: Inside the beautiful Beaux-Arts building, guests will find a luxurious spa, 24-hour fitness service, hotel bike share program, and a 2,200-square-foot picturesque private roof garden with the largest bed of lavender in New York City. 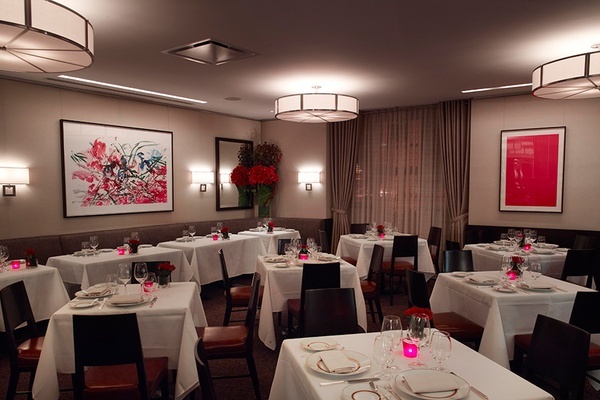 Food + Drink: Adjacent to the lobby is Michelin-starred by Daniel Boulud. The modernized bistro showcases the chef's contemporary approach to classic French cuisine with a focus on seasonal ingredients. For small gatherings, two private dining rooms seat 18 guests and can be combined to accommodate a total of 40 people. Round-the-clock in-room dining is available. Next door, the cocktails served at intimate are classic in spirit and market-driven in ingredients. Live jazz happens Friday evenings and Sunday afternoons. For a classic New York City experience, the Upper East Side is always your best bet. Located just steps from The Surrey, is home to the famed , , , and the . Big name museums like , , and are all within a fifteen-minute walk, but don't miss out on smaller, more specialized museums like , where you'll find , a picturesque Viennese-inspired eatery, on the ground floor. If you're in the mood for Japanese, is a tranquil spot around the corner. Or, for something more low-key, is a classic UES hole-in-the-wall that's run by a former chef from Gramercy Tavern.